Four days after I buried poor little Bubba baby bunny in our backyard, another appeared. 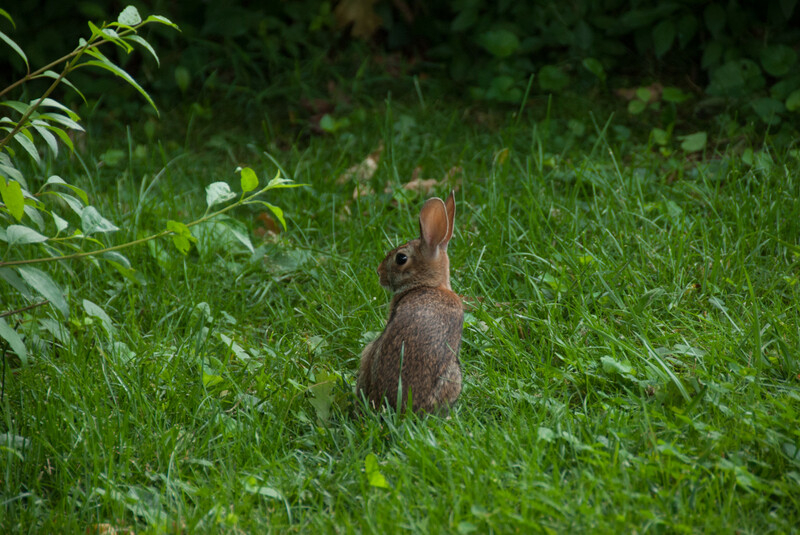 The rabbit would be the second sighted and photographed in June 2006—this one on the 8th and the other the 25th; perhaps they were one and the same. There was something poignant about the bunny’s appearance, and, coincidentally or not, he cross the grass across Bubba’s grave. Last month, I discovered the portrait, one of a half-dozen, stored on a decade-old DVD backup. I captured the moment using Nikon D200. Vitals: f/5.6, ISO 400, 1/40 sec, 200mm.